It's been a long wait for the Nexus 9. Of course, that's partially our fault for leaking the device's existence back in June. Since that time, we've seen rumored accessories, accidental confirmation, a trip to the FCC, and even a quick photo of the back of the device, but today it's finally really official. The device is generally as we expected. It's an HTC-made Nexus tablet with a 4:3 aspect ratio and a 9" display (give or take). The tablet is not aluminum as we originally heard (plans change, after all), but evidently it does have brushed aluminum sides. 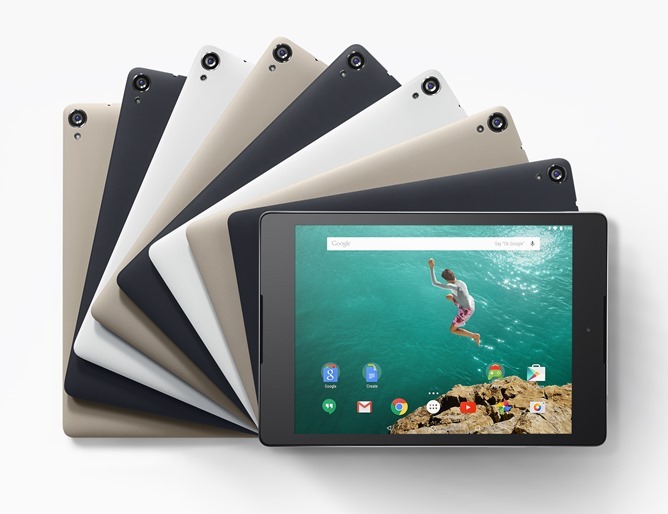 On its product page, Google says it had "you in mind" when designing the tablet with HTC. It's got a soft-grip back and the same curve+angle construction we've seen on the Nexus 7 and Nexus 5, coming in a variety of three colors shown below. 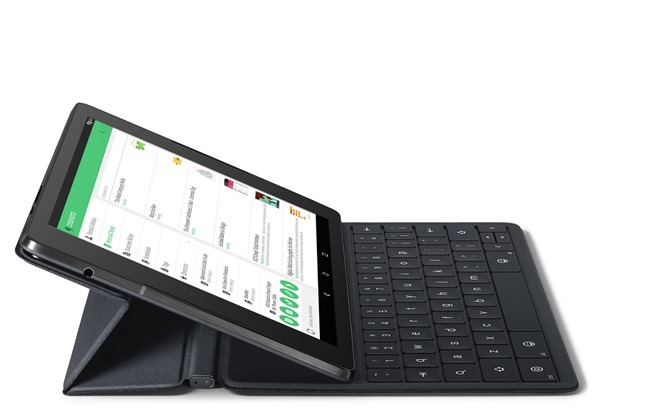 Google has also confirmed the tablet will get a folding keyboard case, as we expected. We also know it has dual front-facing (BoomSound) speakers and other nifty features (baked into Lollipop) like lift or double-tap to wake, and screen-off "Ok Google" functionality. As for pricing, the 16GB model will be $399, while a 32GB model is expected at $479, and an LTE-enabled version of the 32GB model will cost $599. The tablet is planned for pre-order starting October 17, hitting stores on November 3rd. 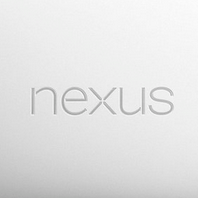 Will the Nexus 9 be your next tablet?